Weight and Total Length Weight 60.9 grams, Length 74.6 cm. Balance point from tip of winder - 276 mm. 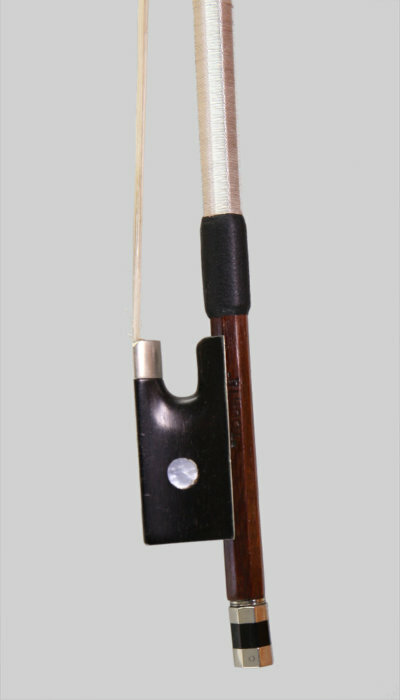 A beautiful silver mounted bow by Marcel Lapierre signed M.Ch.Lapierre. 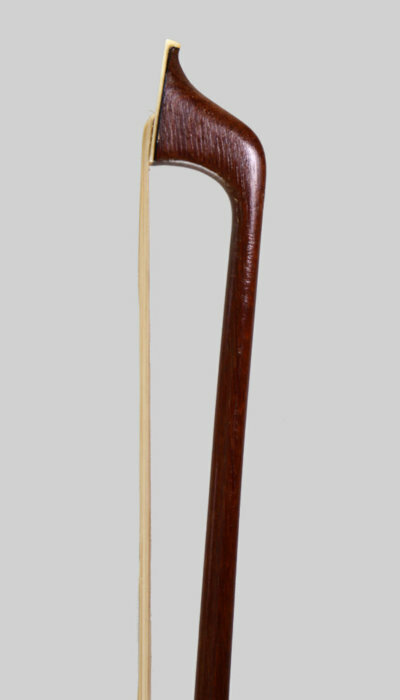 The stick is pernambuco, octagonal and of a rich caramel colour. 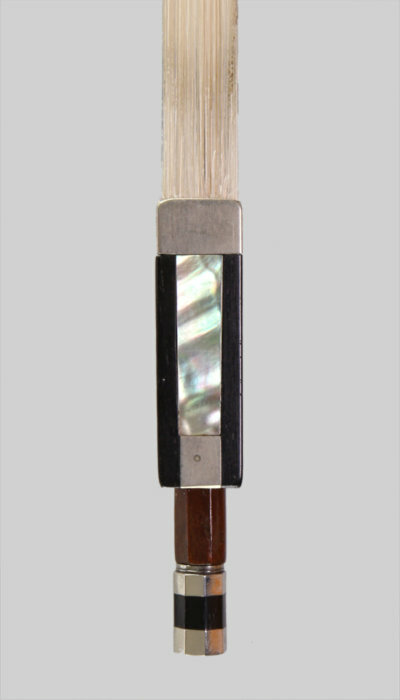 A very artistic maker, he initially trained with Thibouville-Lamy, then went on to work for F.Lotte, Louis Bazin and Morizot before setting up his own workshops. This bow is dated 1951 under the lapping. In lovely condition other than a small amount of index finger wear in front of the lapping and very minor blemishes, just re-haired. An excellent collector and players bow!